Maybe someone with newton telescope experienced the same problem as I did. 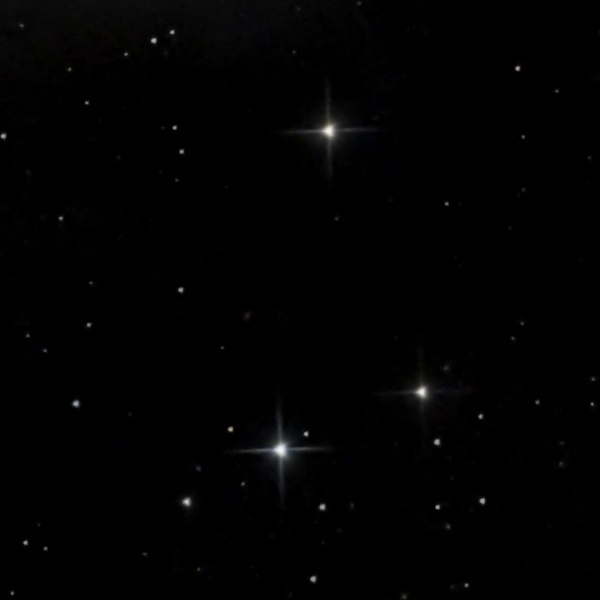 After cleaning primary mirror of my newt, BTW here is a nice tutorial how to do it, I noticed that the brighter stars have triangular shape. After some googling I found the indications that I have pinched primary mirror. Fortunately, it was just elastically deformed by the rubber clamps. When I placed the mirror back I overtightened the screws, therefore the mirror was not reflecting brighter stars properly. Probably the most photogenic galaxy is called Whirlpool galaxy, located in the constellation Canes Venatici, close to the Big Dipper. It’s approximately 23 million light years from the Earth and its spirals have 43 thousand light years in diameter, which makes it 1/3 of a size of Milky Way. 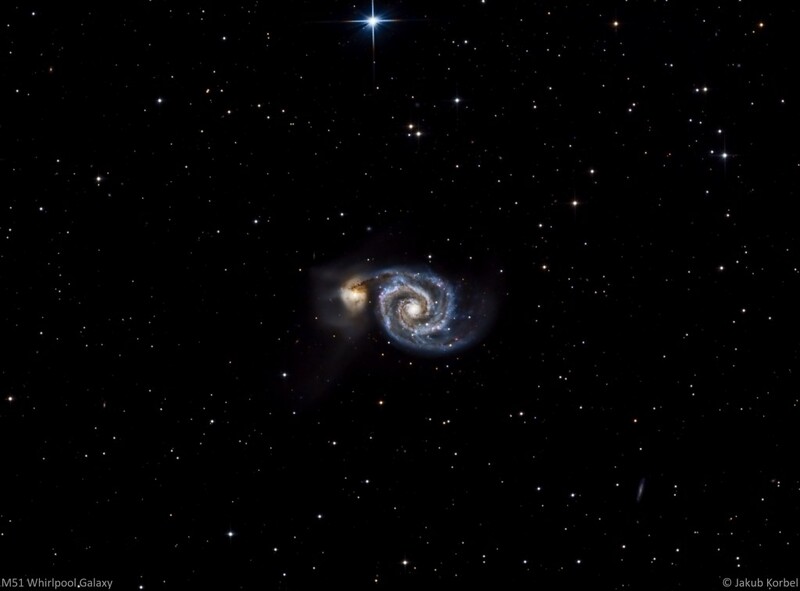 Whirlpool galaxy is accompanied by dwarf galaxy M51b or NGC5195, which is located at the end of the longest spiral.